Meghan McCain and Joy Behar made headlines with their most recent vicious fight on The View — and the cast of Saturday Night Live used the moment to make some jokes. Aidy Bryant portrayed Meghan, 34, as the “princess of Arizona” and Kate McKinnon played Joy, 76. 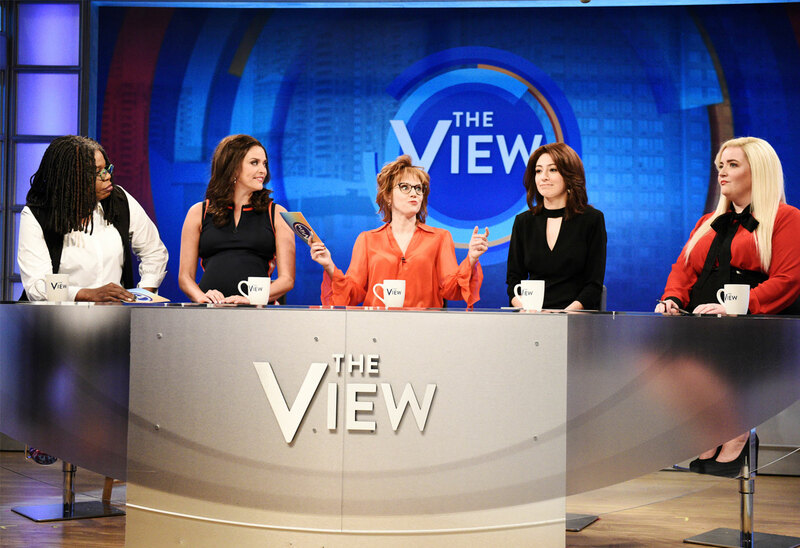 Click through the gallery to find out how The View hosts reacted to the parody. Leslie Jones as Whoopi Goldberg sprayed the women with water like cats to get them to simmer down. Joy was also happy with her portrayal. “Finally an actual female is playing me. Thank you Kate,” she wrote. In the past, SNL had Fred Armisen satirize her. The sketch also made fun of former The View host Jenny McCarthy for her anti-vaccine views. Emma Stone played the former model. What do you think of Meghan’s reaction? Sound off in the comments!